North Carolina Governor Pat McCrory joined a growing list of state heads asking the President to slow or even halt the flow of Syrian refugees across the country. The list of governors opposing the relocation of Syrian refugees in their states now contains nearly two dozen names, mostly Republican with some Democrat. President Barack Obama increased the number of refugees the United States would accept from 2,000 up to 10,000 earlier this year. Concerns over the influx of refugees gained momentum over the weekend after the terrorist attacks in Paris, when a Syrian passport was found by the side of one of the attackers. That raised criticism that ISIS may have implanted attackers in the thousands of Syrians fleeing their war-torn country. McCrory said North Carolina has a proud tradition and humanitarian obligation to provide a hand up for those in need, including international refugees. But he says that falls behind is paramount responsibility. McCrory said he wants the federal government to stop relocating Syrian refugees to the Tar Heel state until officials receive more information about and are satisfied with the federal government’s background checks of the immigrants. “I think what my public safety people are requesting and what I request as governor,” McCrory says, “is that we learn exactly who these people are, what there backgrounds are and we know exactly where they’re being relocated. Chapel Hill Mayor Mark Kleinschmidt signed a letter, along with 17 other mayors, saying their cities are ready and willing to take in even more Syrian refugees than the Obama administration has proposed. 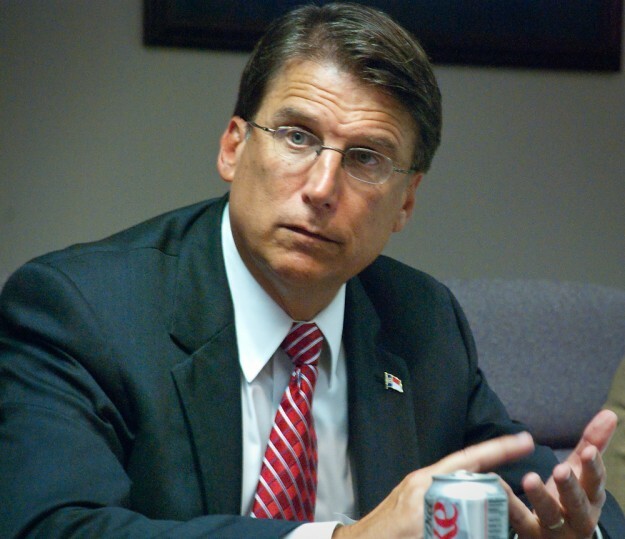 North Carolina is currently home to 59 Syrian refugees, according to McCrory. McCrory says top state officials are currently examining legal options if the President does not heed the request of the governors. Experts maintain there is little to no legal footing for states to reject refugees.